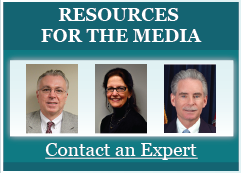 Senior leaders of the MEPC and members of the Board of Directors frequently appear in U.S. and international media to discuss current events related to U.S. policies in the Middle East. Below is a listing of some of these recent media appearances and where possible, a link to the associated article or video. Can Pakistan's controversial envoy fix ties between Islamabad and DC? Rex Tillerson's out, Mike Pompeo is in. Now what? After UN Housekeeping, Are You Next? The U.S. Gets Deeper into Middle East Wars: What's the Endgame?